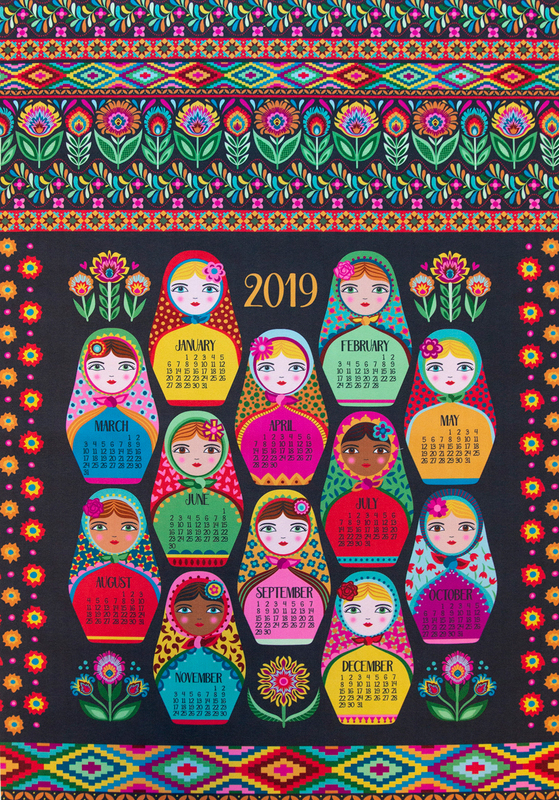 To say that this week’s 2019 Tea Towel Calendar Design Challenge was a brilliant success would be an understatement! A browse through the community-voted favorites and you’ll see what we mean. But first, let’s congratulate Mary Tanana, known as groovity in the Marketplace. 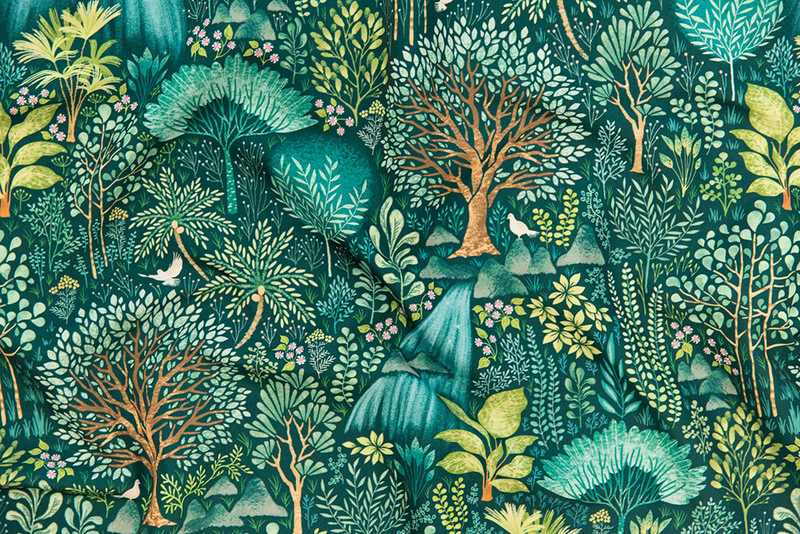 Her color- and wonder-filled design, Irina and Friends Have Tea, earned her the top spot, not to mention a $200 Spoonflower credit, a $200 Roostery credit, and a Spoonflower Edition tea towel in her winning design! The excitement just won’t stop as we applaud second place winner, pennycandy who brought a special delivery to the Marketplace, and our first-ever tie for third place between sarah_treu and ceciliamok. 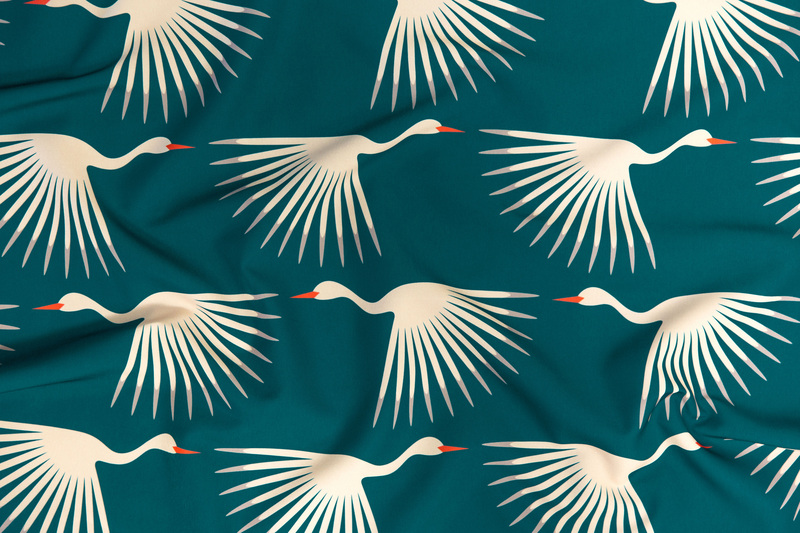 These talented designers earned $100 and $50 in Spoonflower credit respectively. Love what you see? 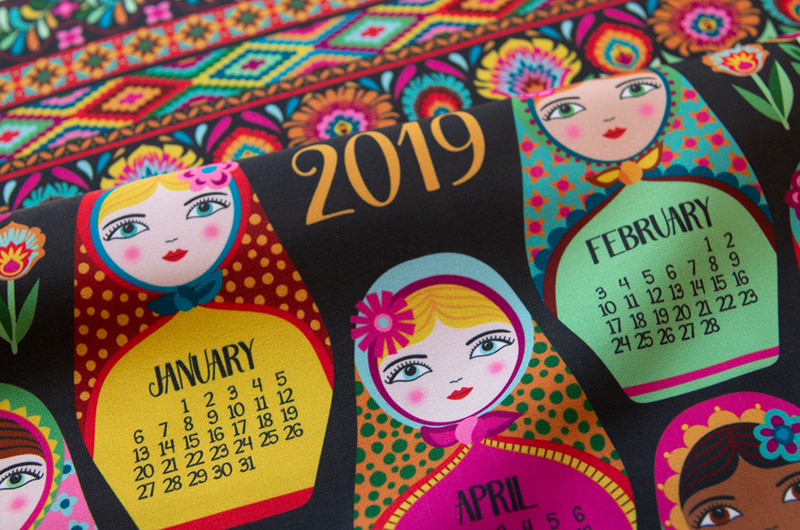 Collect all of the top-voted 2019 Tea Towel Calendars—they make excellent gifts! 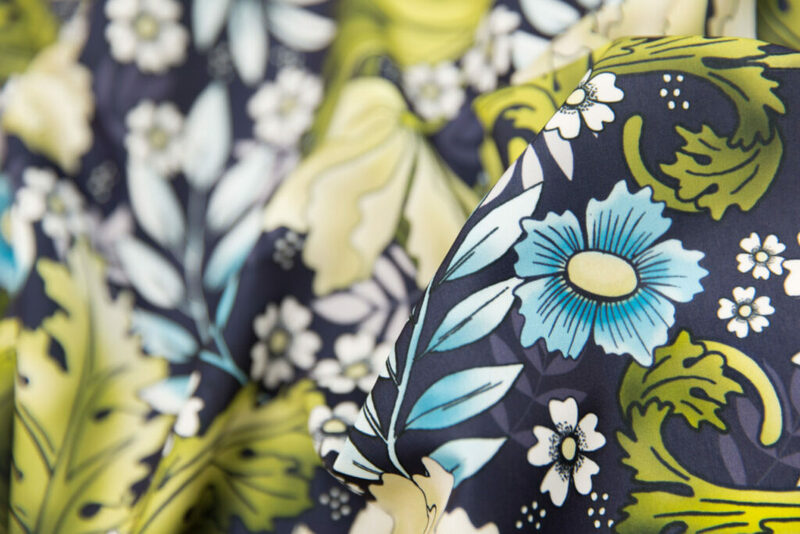 It’s hard to believe summer is coming to an end, but here at the Spoonflower HQ, we can’t help but feel the excitement for cooler weather and the most magical time of the year – our annual fat quarters sale! 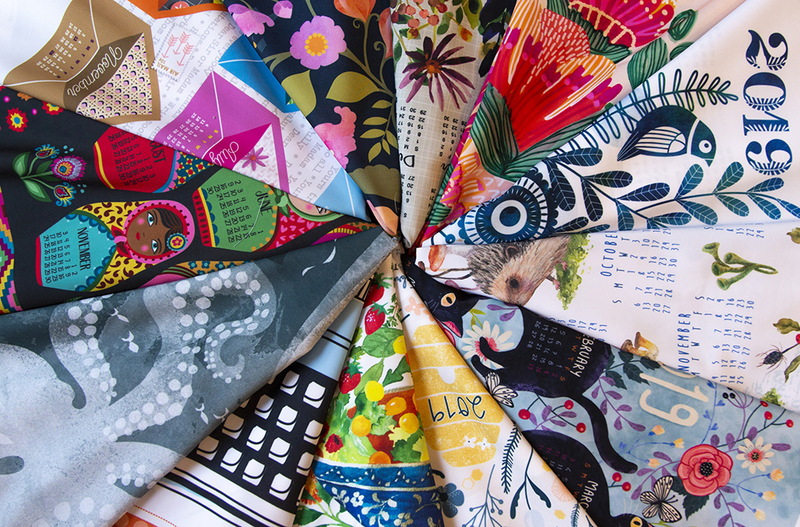 To help prepare, we’re challenging you to create your very own cut-and-sew fat quarter project, one of our most popularly requested design challenge themes this year. If this is your very first challenge, don’t forget to review how to submit an entry before you get started and as always, have fun! Ornate designs, floral prints and a dash of damask all made an appearance in this week’s Victorian Era Design Challenge. Closing out our four decades of design series, this week’s theme proved that sometimes less isn’t always more! We’re traveling all the way to Berlin, Germany to congratulate our winner, Eva Nikoletta Jancsovics, aka whimsical_brush in the Marketplace. 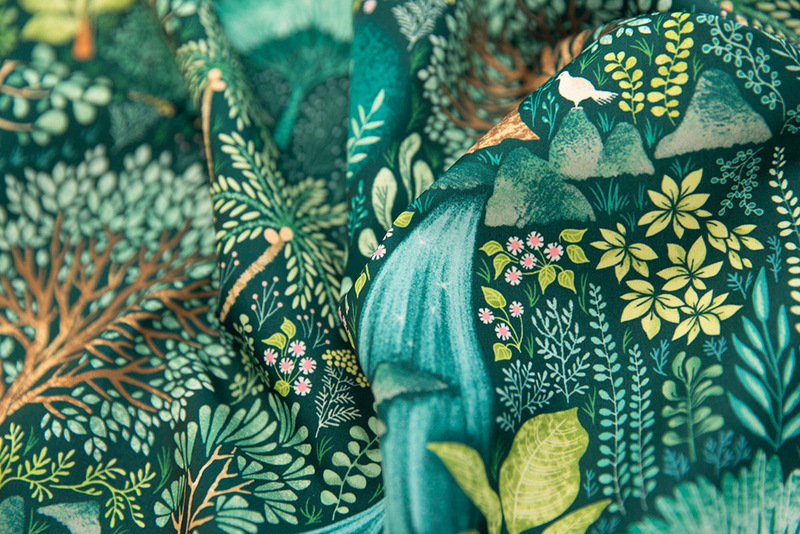 Eva wowed the community with her elaborate design, Victorian Era, and earned not only a first-time victory but also a $200 Spoonflower credit. We’re also tipping our top hats to ceciliamok (second place) and heatherdutton (third place) who earned a $100 and $50 Spoonflower credit respectively. Be sure to shop the entire top 10–we promise you won’t be disappointed! Victorian Era by whimsical_brush is the Victorian Era Design Challenge winner! The ‘50s paved the way for an aesthetic of bright pastel colors, abstract art, and the winner of this week’s 1950s Design Challenge! 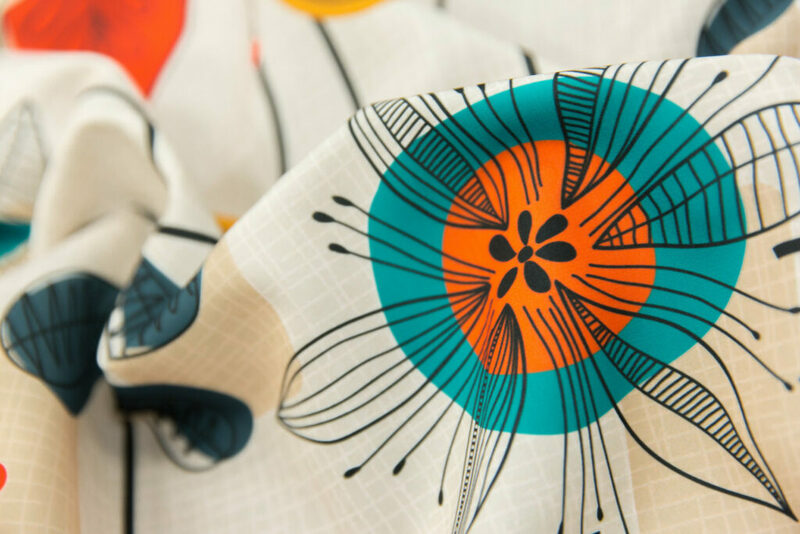 1950’s Mid Century Modern by patternanddesign wowed the community and was voted into the top spot–a first time design challenge victory for this up-and-coming Spoonflower designer! 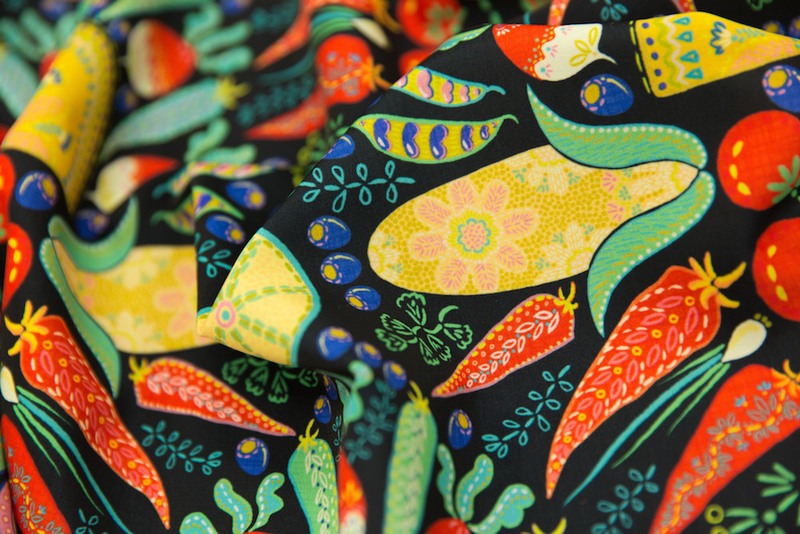 Rachelle’s mid-century design earned her a $200 Spoonflower credit and we’ve saved her a spot at the soda shop. Enjoying a soda float with Rachelle are diseminger (second place) and vo_aka_virginiao (third place) who will be receiving a $100 and $50 Spoonflower credit respectively. Head to the sock hop to see the top 10 or shop the entire top 50! 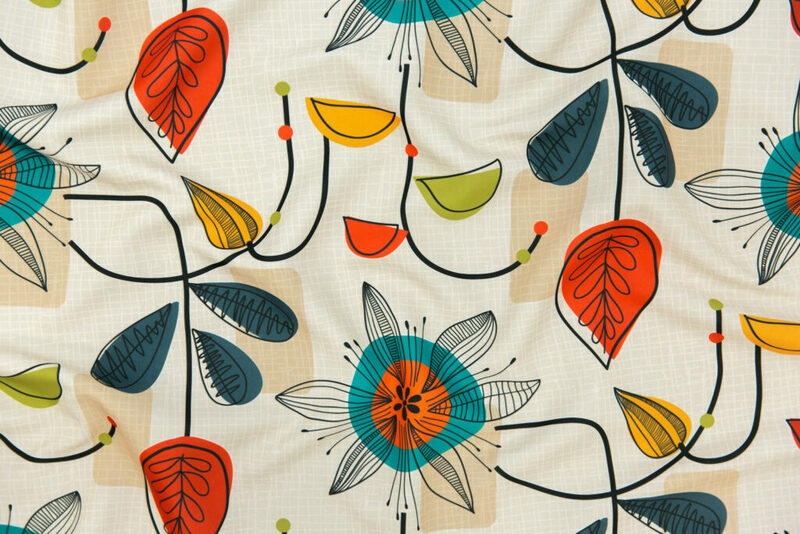 1950’s Mid Century Modern by patternanddesign is the 1950s Design Challenge Winner! From the luxurious and modern style of Art Deco to the glitz and glam of the movie industry, there was no shortage of elegance in this week’s 1920s Design Challenge. A roaring congratulations is in order for katerhees, who soared into the top spot (her third time this year!) 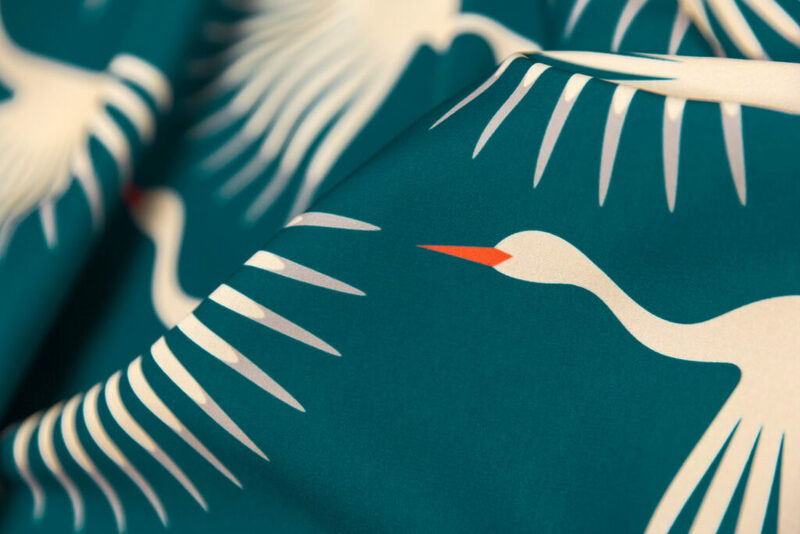 and earned a $200 Spoonflower credit with her entry, Art Deco Cranes. Rounding out the winners’ circle are svetlana_prikhnenko (second place) and dunnspun (third place) who will be receiving a $100 and $50 Spoonflower credit respectively. 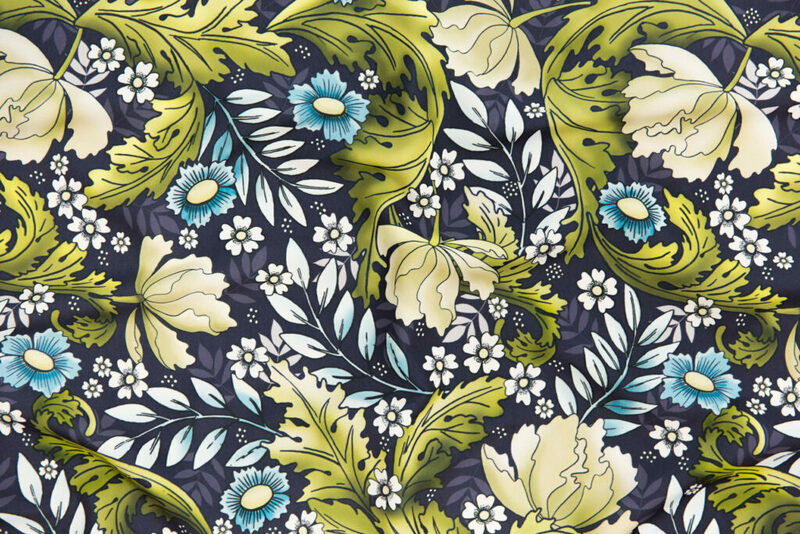 Charleston your way over to the top 10 to find a jazzy design for your next DIY project. Can we taco ’bout the colorful entries that found their way into this week’s Tacos and Burritos Design Challenge? 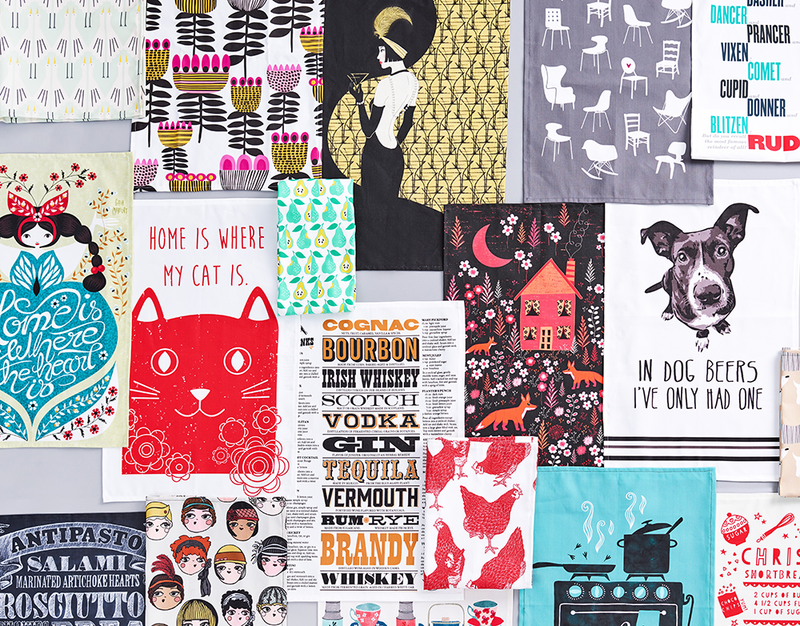 One look at the top 50 and you can see why we’re looking for any excuse to throw a party at the Spoonflower HQ. We’ve got all the fiesta fixins we need thanks to the winning design, Mexican Taco Fiesta by helenpdesigns! This is Helen’s first time taking home the design challenge grand-prize, a $200 Spoondollar credit. Joining Helen in the winners’ circle are camcreative (second place) and oliveandruby (third place) who will be receiving a $100 and $50 Spoonflower credit respectively. Hungry for more? Get your second helping of tacos and burritos with the entire top 10! 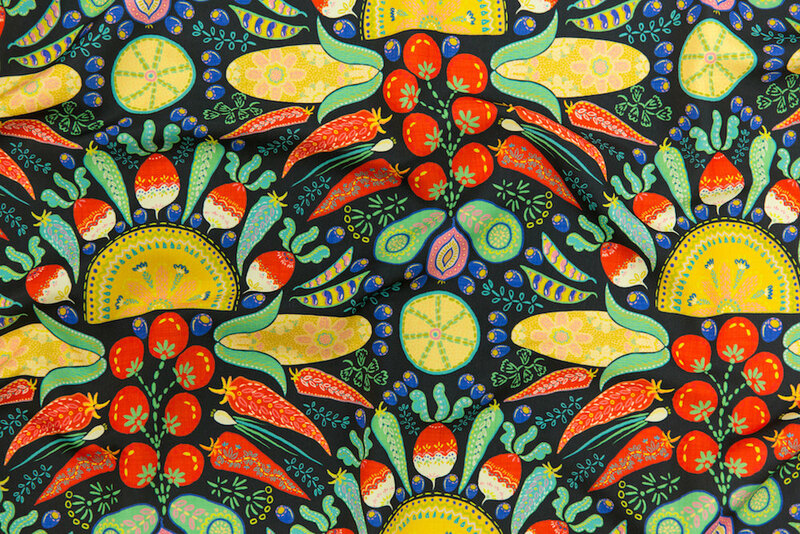 Mexican Taco Fiesta by helenpdesigns is the Tacos and Burritos Design Challenge winner! The doctor is in! Inspired by the medical professionals keeping us (and our pets!) in tip-top shape, we’re giving our designer community a clean bill of design health after this week’s challenge. 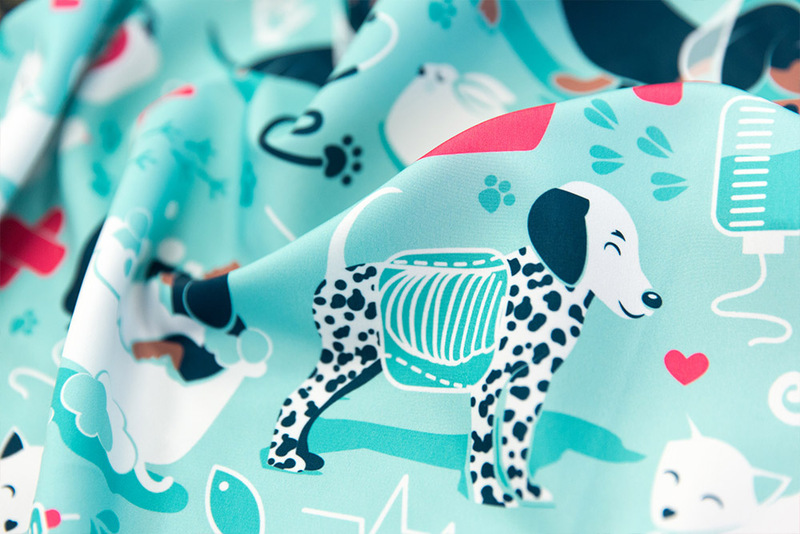 Say ahhh congratulations to our winner, selmacardoso, who will be receiving a $200 Spoonflower credit for her adorable design, Happy and Healthy Friends. We also can’t forget to recognize second place (lellobird) and third place (heatherdutton) winners who will be receiving $100 and $50 in Spoonflower credit, respectively. Don’t forget to make an appointment with the entire top ten to get your daily dose of design. 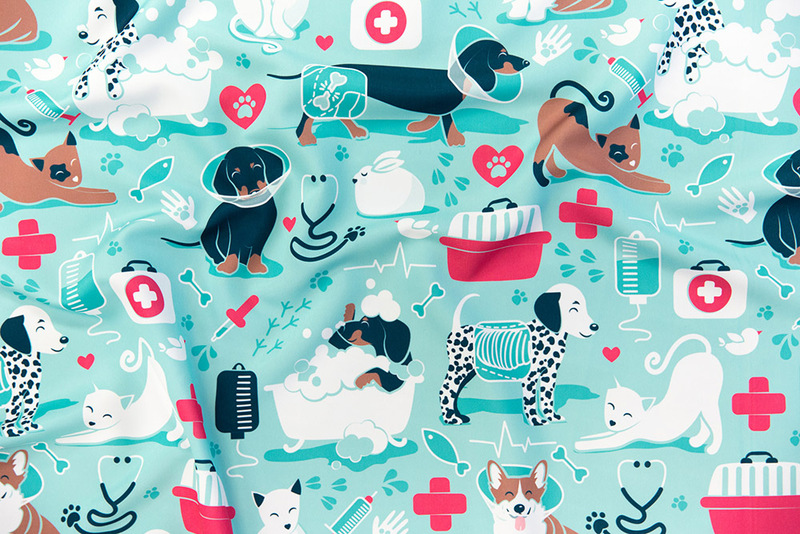 Vet Medicine Happy and Healthy Friends by selmacardoso is the Medical Professions design challenge winner!